The legal profession is about to undergo some major and fundamental changes. 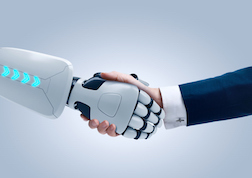 New automation technologies are already having an impact across the board—changing how firms intake clients, how cases are analyzed (case prediction software), and how discovery and document review are conducted. It isn’t hard to see that the trend toward automation still has a lot of room to grow within the legal world. Millennials learn about things online primarily through the use of social media. The trend in legal marketing has been toward search engine optimization (SEO), but according to software and services provider SDL, most millennials prefer Facebook and Twitter over search engines for content discovery. SDL’s research also suggests, that millennials prefer hyper-targeted content. Hypertargeting is the ability to deliver advertising content to specific segments of the population based on their demonstrated behaviors and interests. 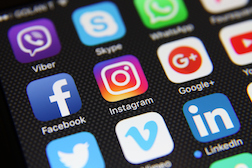 Social media platforms like Facebook provide ad targeting services that show ads to specific users based on keywords from their profiles, pages and posts that they have “liked,” events that they have responded to, and applications that they have used. 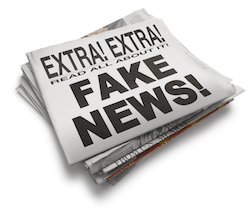 Could Your Blog Be “FAKE NEWS”? Fake news is nothing new. Most of us are old enough to remember seeing far-fetched celebrity tabloid stories, or stories about “Batboy” while waiting in line at the grocery store. But the rise of social media and the most recent election cycle has changed things—and fake news is now a buzzword we can’t escape. This is a really exciting time in technology. All the major tech players, including Facebook, Google, Apple, Amazon, and Microsoft, are amassing armies of engineers to develop their Virtual Reality platforms. A number of smaller companies, notably Magic Leap, are working around the clock to create VR hardware and content. Magic Leap specializes in mixed-reality technology— where fantasy is overlaid upon the real world, resulting in an experience that tricks your body and brain into thinking that you are having a real experience. 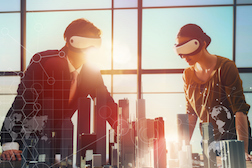 VR easily calls to mind gaming and entertainment, but what is the application for law firms? We all know what chatbots are, they are everywhere—whether we like it or not. When we make a customer service call, we interact with voice recognition software that has artificial intelligence. When we engage in “online chat sessions” with companies, often we are interacting with a bot—often via Facebook messenger. And law firms frequently use bots to field potential clients. The technology has been advancing at a breakneck speed, and some firms are even using bots to take payments and (gasp!) give legal advice. 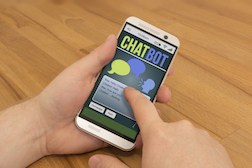 As technology continues to improve, many are wondering, will chatbots render call centers (and their high carrying costs) obsolete?